Veeam® recognizes the new challenges enterprises of all sizes across the globe face in enabling the Always-On Business™, one that must operate 24/7/365. To address this, Veeam has pioneered a new market of Availability for the Always-On Enterprise™. Unlike “Legacy Backup” solutions which provide recovery time (RTO) and recovery point objectives (RPO) of hours or days, Veeam helps enterprises meet recovery time and point objectives (RTPO™) of less than 15 minutes for all applications and data. This is achieved through a fundamentally new kind of holistic solution that delivers high-speed recovery, data loss avoidance, verified protection, leveraged data and complete visibility. 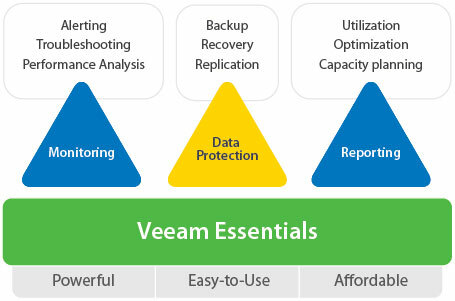 Veeam Availability Suite™, which includes Veeam Backup & Replication™, leverages virtualization, storage, and cloud technologies that enable the modern data center to help organizations save time, mitigate risks, and dramatically reduce capital and operational costs. 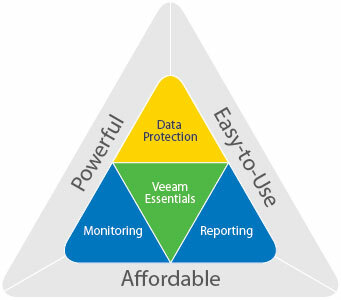 Founded in 2006, Veeam currently has 34,500 ProPartners and more than 168,000 customers worldwide. 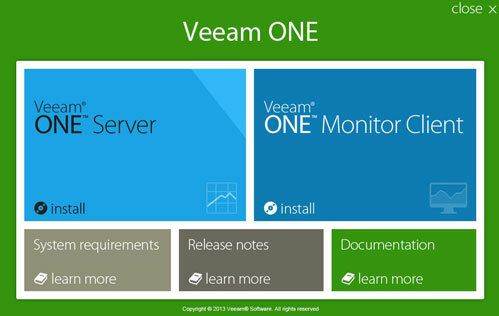 To learn more, visit https://www.veeam.com/. Veeam Cloud Connect enables businesses to act as a disaster recover service proivider in order to deliver off-site backup and replication services to internal customers. This in turn removes the hassle of maintaining a VPN and thus improves security by enclosing all backup and management traffic into a single port. Enterprise-level data protection for small businesses.